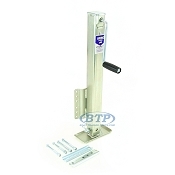 Below is a Selection of Boat Trailer Jacks and Accessories to fit all types of Boat Trailers. 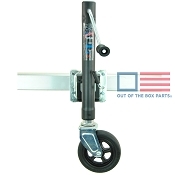 Boat Trailer Jacks can mount in several different ways, as well as have different capacities. 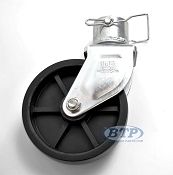 These Jacks come in Bolt on Swivel Mount, Bolt on Drop Foot, and Bolt on A Frame Style Boat Trailer jack. They include the necessary mounting hardware. Typically these jacks are mounted with four bolts and two plates. 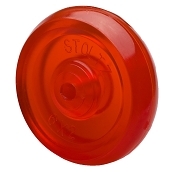 This category also contains replacement parts for trailer jacks. 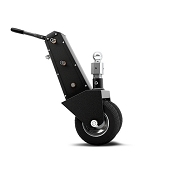 Total Lift 28 inches - Wheel Width 3"
Total Lift 10 inches - Wheel Width 3"
Boat Trailer Tow Dolly Valet Jack Easily Moves Trailer right to where you need it! Your trailers jack is a vital component. In Most cases your boat is stored on its jack, so it takes constant weight load. Proper greasing of the wheel, handle, and the gearing is ideal to ensure the proper operation of your jack.